We are happy to announce our new KaiOS Anti-Virus USB repair stick. Our KaiOS Anti-Virus USB repair stick uses an open source anti-virus cleaner called, “ClamAV” to remove virus when other anti-virus software cannot. Our USB stick boots into KaiOS 3.0 Linux, then launches ClamAV to download the latest anti-virus updates from the internet to clean your PC. After the scan is complete, you will have the option to either remove the infected files or move them to a safe location on your PC. 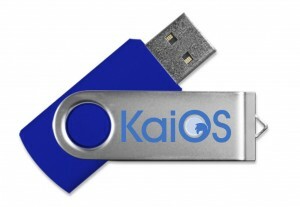 Order your KaiOS Anti-Virus USB repair stick today. Comes with KaiOS Anti-Virus 128Mb USB repair stick with KaiOS 3.0 installed. Limited stock quantities. Only 300 produced. Buy before they are all gone. All prices are in Canadian Dollars. All orders will be shipped within a 24 hour period after successful completion of purchase. One order per person. Free release now in download section below.